My Brickell is a new building developed by the world-renowned architectural firm Arquitectonica together with the Related Group, the largest developer in Brickell. My Brickell is a contemporary boutique building that comprises 27 floors with a total of 192 residential units, only 8 residences per floor. My Brickell would not be built if it wasn’t for the effort of Phillipe Starck, the renowned architect and designer. He carried out his innovative design with utmost professionalism and incredible attention to detail. Luxurious whimsical pools and gardens, fabulous design, modern art and brave colors together create an amazing Urban Living Development. 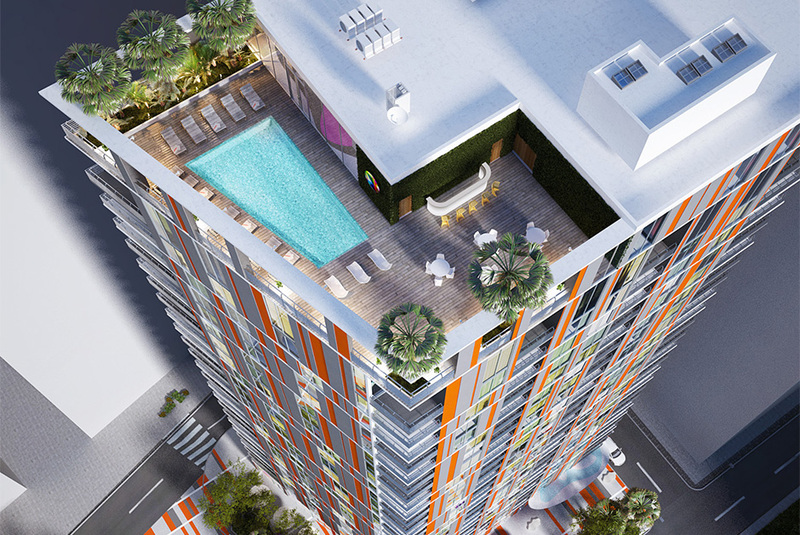 The apartments at My Brickell are already available for purchase. Complex has the most convenient location. It is neighboring the Financial Center of Miami, the Brickell and the Miami River. Condominium is surrounded by banks, entertainment venues and best dining. This is where bankers, lawyers and other residents come to rest after a busy day and have a quiet lunch or dinner at the best stage of modern Miami.